Mon to Sat 6pm-3am, Sun 6pm-12am | Occasionally closed on Sundays. £26 (Adult) | Standard price may vary depending on who is playing. 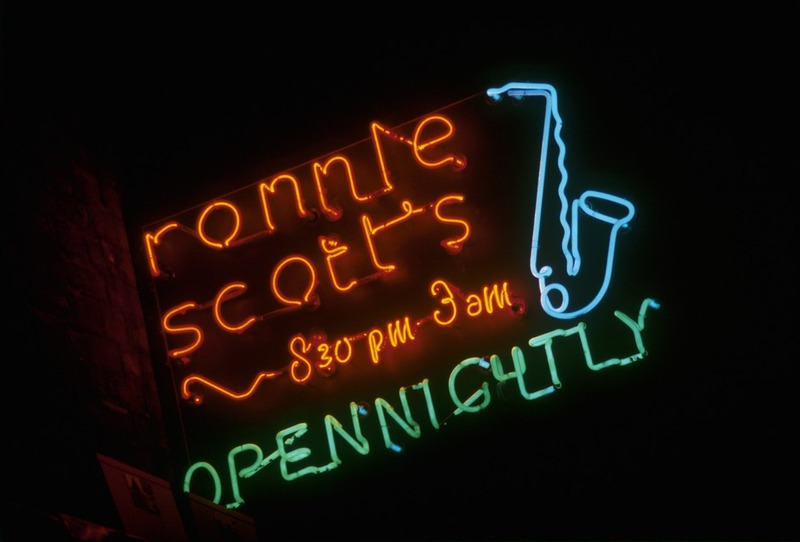 The legendary Ronnie Scott's has been a Mecca for the international jazz community since 1959. Created by music-lovers for music-lovers, it has played host to almost half a century of the biggest names in jazz. Inspired by countless trips to New York's jazz clubs, Scott opened the club in 1959 in partnership with saxophonist Pete King. Having started out simply as a place for musicians to jam, it soon attracted interest from the States and became the place for performances of every kind of jazz music. It continues to promote an open-minded music policy and has featured musicians like Eric Burdon and Tom Waits, alongside traditional jazz greats like Glenn Miller. Ronnie Scott himself was awarded an OBE for 'services to jazz'. His death in 1996 robbed British music of one of its most influential and highly-respected figures but his club remains a fantastic place to enjoy this distinct genre. Comfortable, laid-back and with Scott's brilliantly eclectic music policy still in place, this is a landmark in the London music scene. Check for details of major artists performing, or just turn up any night for a programme of the very best live jazz. A three set event celebrating music, arts and culture taking place every Monday. Jazz interpretations and originals from the album by trombonist and singer Nils Landgren, pianist Michael Wollny, drummer Wolfgang Haffner and bassist Lars Danielsson. Trumpeter, Andy Davies hosts this open stage night for jazz musicians. The prolific bassist and composer presents his latest album, In Transit, with his band, comprising pianist Andrew McCormack, trumpeter Quentin Collins, saxophonist Brandon Allen and drummer Chris Higginbottom. Bassist Phil Simmonds presents the jazz, funk and soul night with invited guests. Live Cuban bands and DJs reaffirm the historical association between Ronnie Scott's Jazz Club and the island of Cuba. Resident and guest DJs play jazz, funk, soul, house and boogie. The boogie woogie pianist and vocalist, based in Toronto, Canada, is here joined by trumpeter William Sperandei, bassist Devon Henderson and drummer Roger Travassos. The London band plays New Orleans funk, purveying a unique mix of punchy horns, heavy street beats, chants, samples and scratching. The DJ brings his collaborative project to the stage, inspired by soul, jazz and 90s hip hop with a sprinkle of his signature scratching. What are the best dining options near Ronnie Scott's London? Ronnie Scott's gyms, sporting activities, health & beauty and fitness. The best pubs near London Ronnie Scott's. Ronnie Scott's clubs, bars, cabaret nights, casinos and interesting nightlife. Where to have your meeting, conference, exhibition, private dining or training course near Ronnie Scott's. From cheap budget accommodation to luxury 5 star suites see our special offers for Ronnie Scott's hotels, including Every Hotel Piccadilly from 91% off.